Following the indictment of the Vice President Professor Yemi Osinbanjo and the Director General of the National Emergency Management Agency (NEMA) in a N5.8 billion scam by the Federal legislature, a call from a leading pro-democracy organization – HUMAN RIGHTS WRITERS ASSOCIATION OF NIGERIA (HURIWA) has been made for comprehensive reorganization of the agency. HURIWA has also frowned at the ongoing squabbles over the indictment of the Nigeria's number two citizen between the opposition Peoples Democratic party (PDP) and the Vice President Professor Yemi Osinbanjo because the extensively damaging criminal allegations are being turned into a political wrestling match instead of the relevant agencies of government at the center and the national assembly to activate mechanisms to reform the corrupt infected system in place within the National Emergency Management Agency to refocus it and reposition it to play the role of an effective and efficient and professionally managed national first responder in the Country. HURIWA says Nigeria does not have the luxury of time to engage in political gymnastics by the political actors given that there are several national emergency situations that have happened all over the nation with thousands of Nigerians becoming internally displaced with no effective remedial redress mechanisms both at the center and the federating units. In a statement by both the National Coordinator, Comrade Emmanuel Onwubiko and the National Media Affairs Director, Miss Zainab Yusuf, HURIWA has asked the Vice President and the Director General of NEMA to resign immediately or be suspended for three months or sent on compulsory leave pending the holistic determination of the subsisting allegations even as they are are to subject themselves to transparent and open investigative activities by a combined team of the Independent Corrupt Practices and other Offences Commission (ICPC); Economic and Financial Crime Commission (EFCC); and the Code of Conduct Tribunal so as to ensure hitch free probe of the extensively damaging allegations. HURIWA said EFCC alone can not guarantee a transparent given the affinity that exists between the acting Chairman of Efcc and the Vice President. HURIWA which applauded the All Progressives Congress dominated Federal House of Representatives for not capitulating to partisan pressure and undermine the investigation, has however affirmed that the enabling Act setting up the National Emergency Management Agency (NEMA) needed to be reworked fundamentally to insulate the office from the institutionalized political interferences of the presidency given that the Vice President is listed as the Chairman of the governing body of the agency. 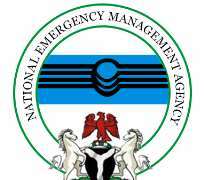 Besides, HURIWA has tasked the National Assembly to take up the national assignment of reforming the enabling Act that set up NEMA so as to provide for the appointment of a technocrat with no political affiliations to head the National Emergency Management Agency because of the strategic national functions that such a sensitive institution is created to perform. The Rights group lamented that over the years, NEMA has been used as a politically manipulated national cake by the party in power to reward the patrons of the political party just as the Rights group stated that the current management is the worst because of the fact that the Director General was basically rewarded for his contributions to the All Progressives Congress (APC). HURIWA recalled that the House of Representatives ad-hoc committee on Emergency and Disaster Preparedness offered insight into why it indicted Vice President Yemi Osinbajo on the alleged diversion of N5.8 billion meant for emergency intervention in the north east. HURIWA has specifically recommended the Chairman of the House investigative panel and his members for special national awards for their bravery and courage in unravelling the systemic rots within the National Emergency Management Agency.